Anyway, my friend Nathan is also a massive Witcher fanboy. In fact way moreso than me. One of the reasons I love this guy is the fact that when he gets into something, he doesn’t do it by halves. Literally everything related to his current subject of focus must be obtained, devoured, investigated, learned, lived. That level of enthusiasm is completely energising to be around, and in all honesty, it’s helped me through many a rough patch over the past three years. Nathan’s enthusiasm is infectious, and I find myself more excited about anime, more interested in manga, more addicted to videogames than ever before, simply by hanging around with him. The world needs more people like this. I even received my first contract: hunt and kill the twisted “Gove” which has been skulking around Westminster! It’s been a long time since I had the time or motivation to paint anything. 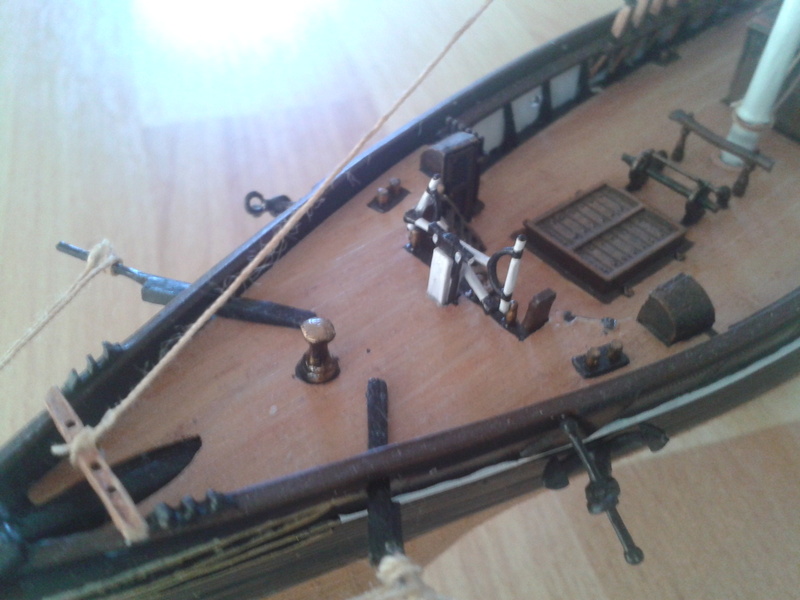 That changed recently, however, and I managed to complete a project which has sat half-finished in my cabinet for a long time. 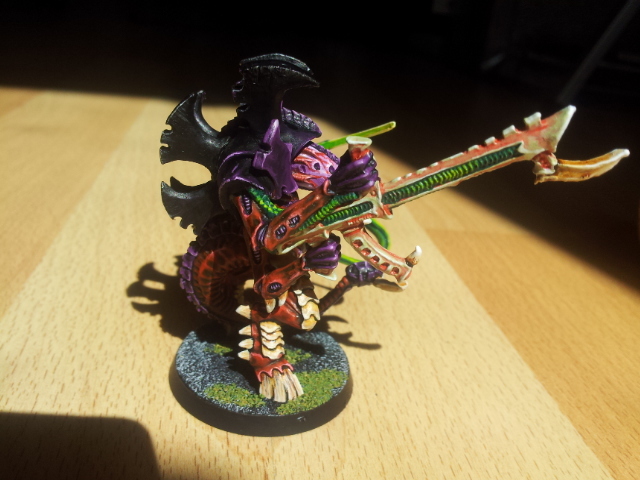 This is a Tyranid Hive Tyrant, from Citadel Miniatures mid 90s range. I much prefer the 90s minis and ruleset. The Venom Cannon is a horrible, horrible weapon. 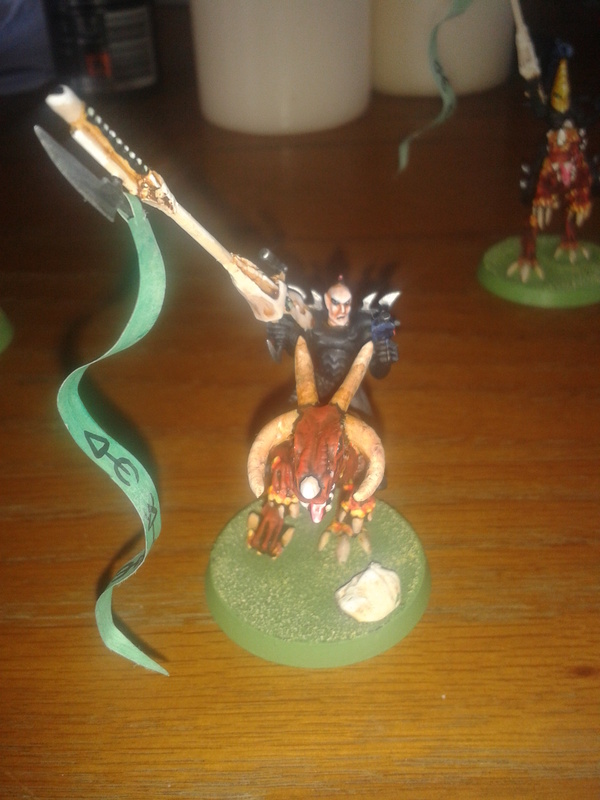 I wanted to give him a very organic look, so I went so far as to paint a bunch of veins on his head and on the bonesword. I used a LOT of inks and glazes to get the tones just right, and these low quality photos didn’t really pick it all out. 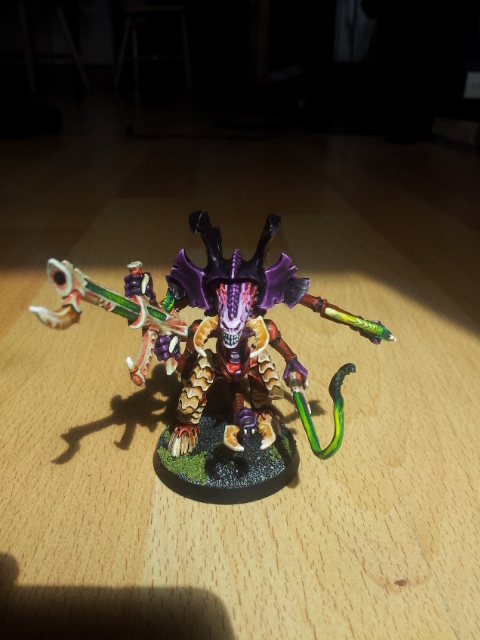 I’m pretty satisfied with the result, and looking forward to adding plenty of minions to the Hive Tyrant’s force. 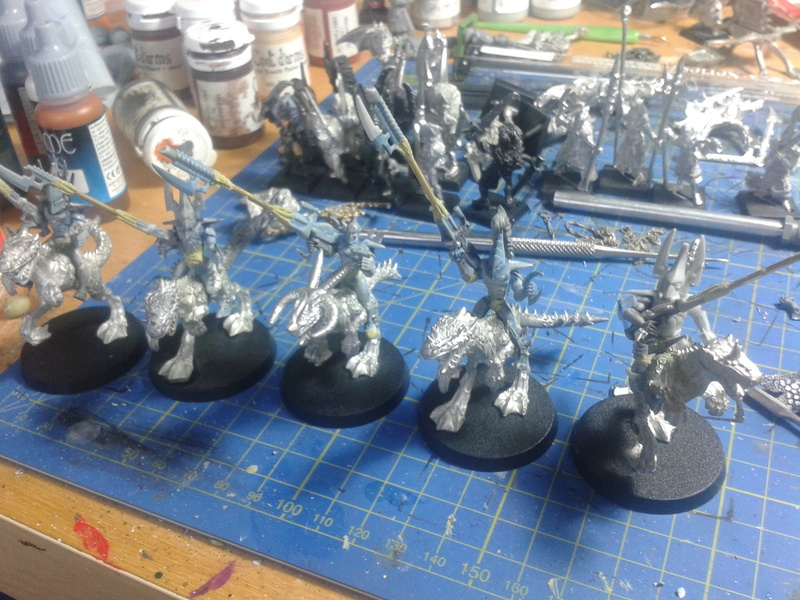 I have a pretty substantial Tyranid force which is awaiting painting, but my Dark Elves take precendence right now. 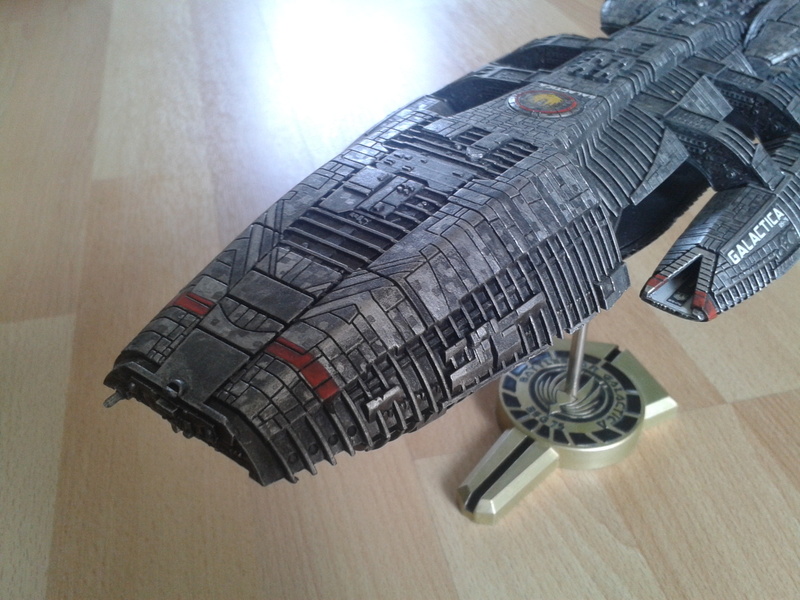 With the Viper and Galactica models I’ve shown, it might be easy to assume that Karl’s Shipyard (TM) only builds space craft. Not so. 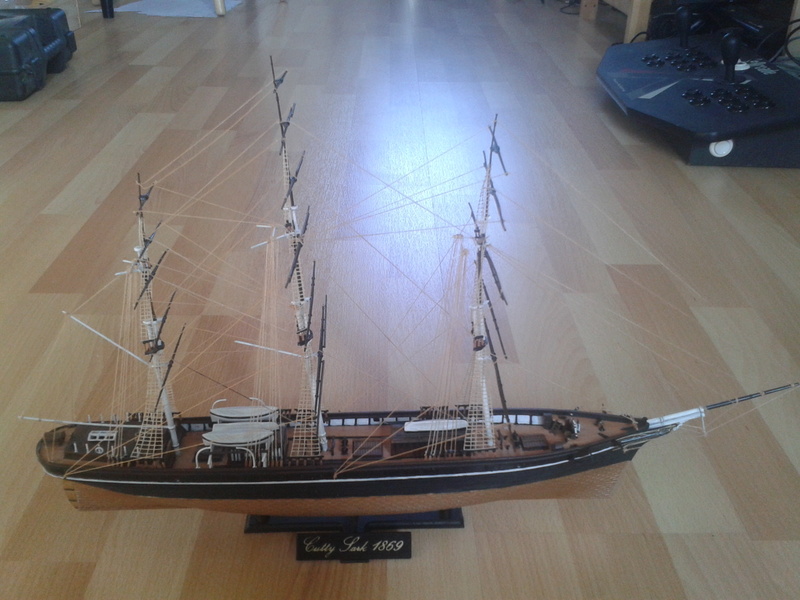 I also build historical models. 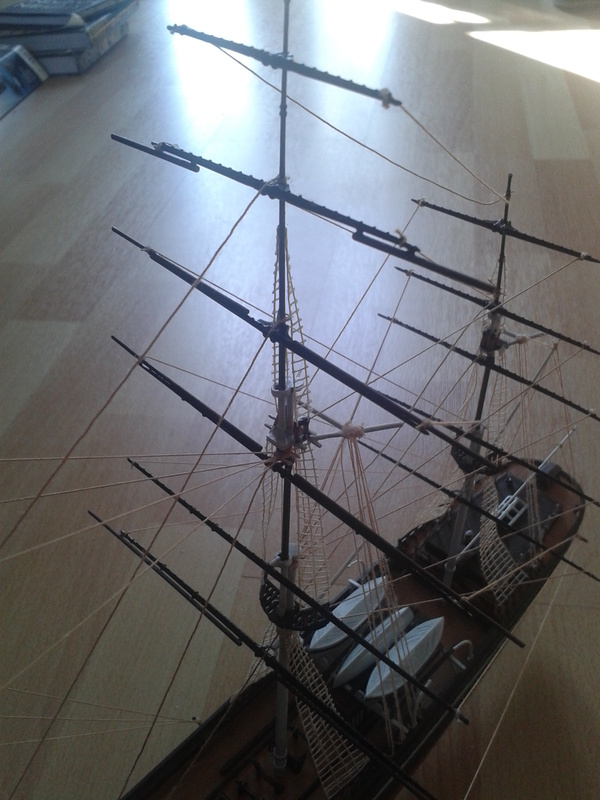 The Cutty Sark was a 19th century tea clipper, one of the fastest there was. She needed to be fast in order to get tea back from India to the UK before anyone else in order to maximise her profits. She’s no longer afloat, but rests in permanent dry-dock in Greenwich, London. 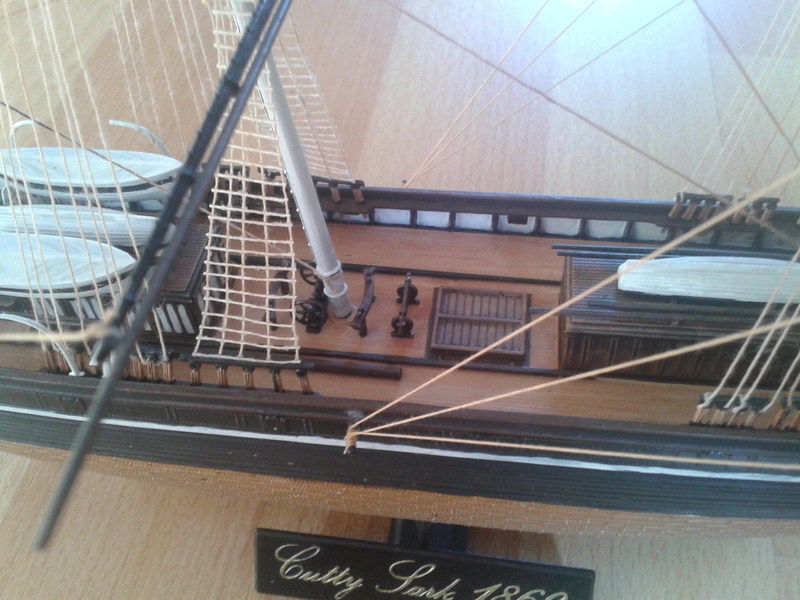 This is the Cutty Sark kit produced by Airfix. 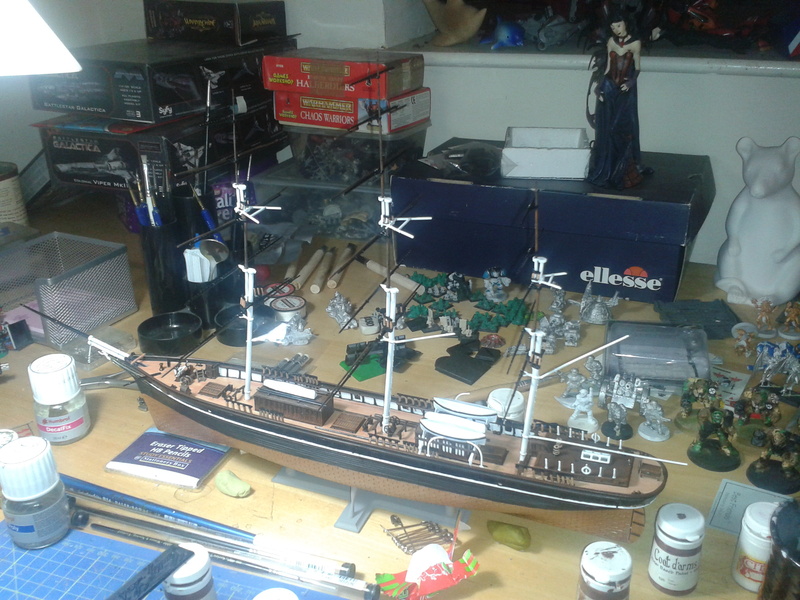 Took about a year to build, but I wasn’t constantly working on her and there were long periods during which I did no work on her at all. 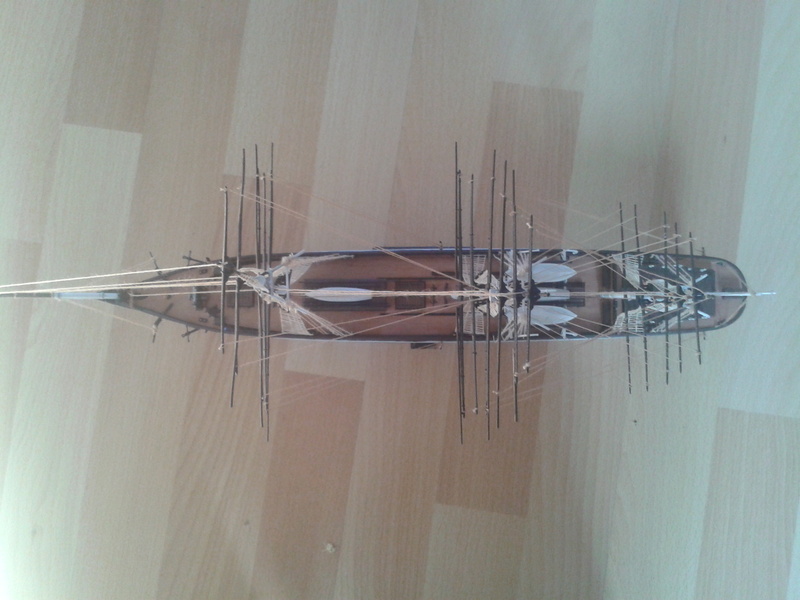 The rigging took approximately 30 hours (I know this because I watched two whole series of Babylon 5 while I was doing it! 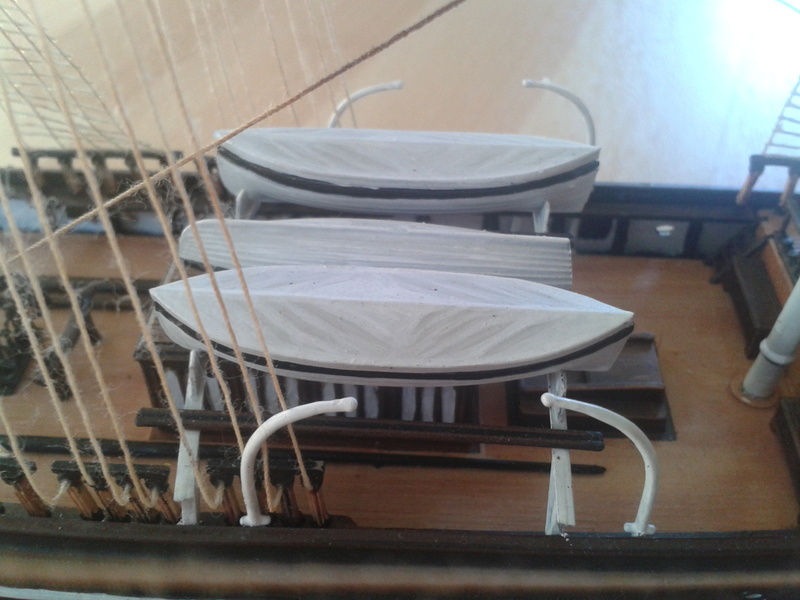 ), and I decided to leave the sails off, as the ones provided in the kit were made of cheap, horrible plastic and would have spoiled the look. 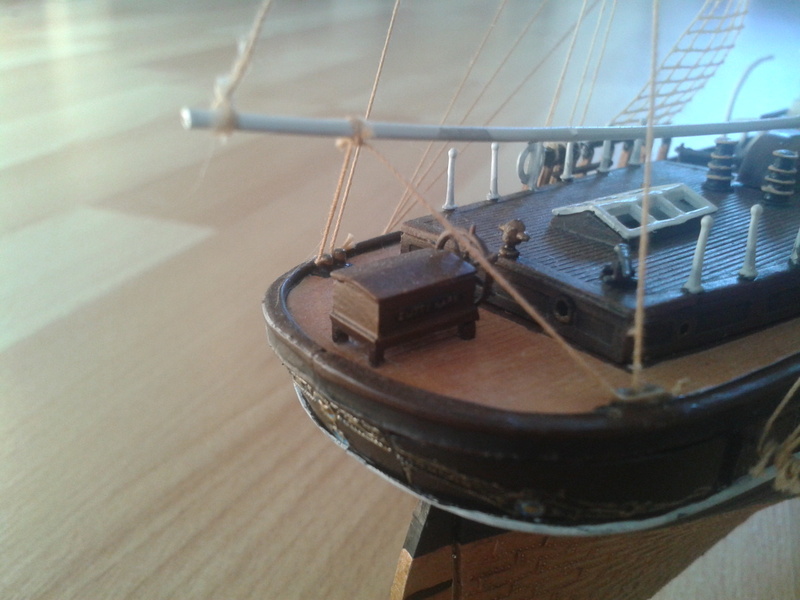 I tried to paint her as accurately as I could, but I took some artistic license on the deck and cabins. 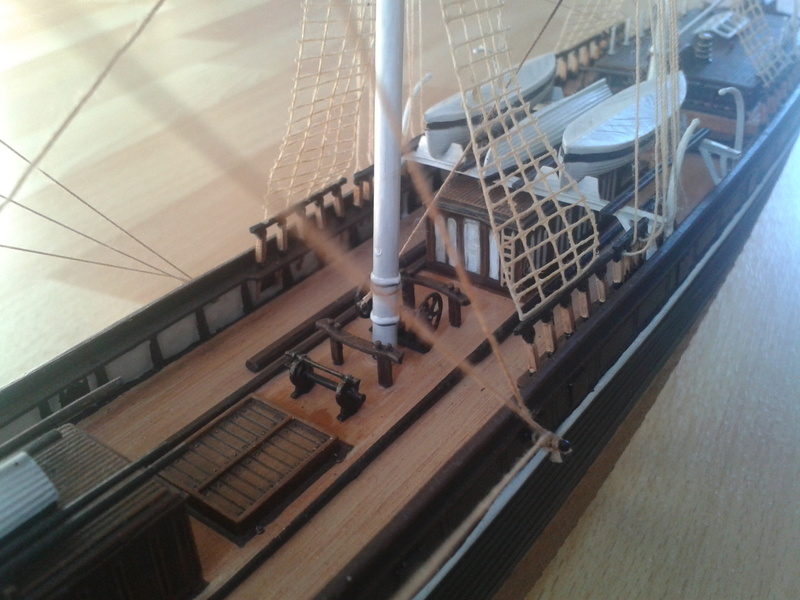 The wood effect on the deck was achieved with a flat brush and a number of different inks, and then a gloss varnish was applied over the top. 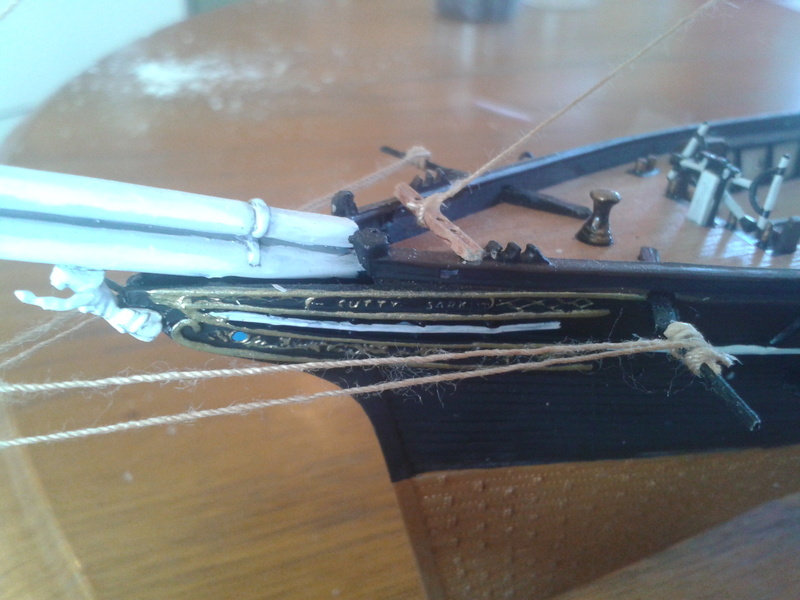 The rigging ropes were soaked in tea overnight in order to give them an aged look (the rigging thread provided was bright white). 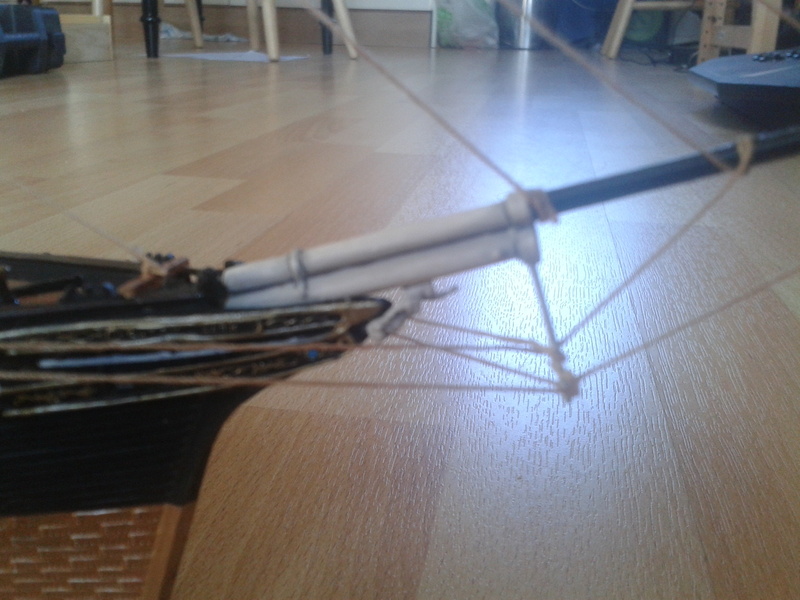 Rigging halfway complete. I’m watching B5 on my computer as I work. 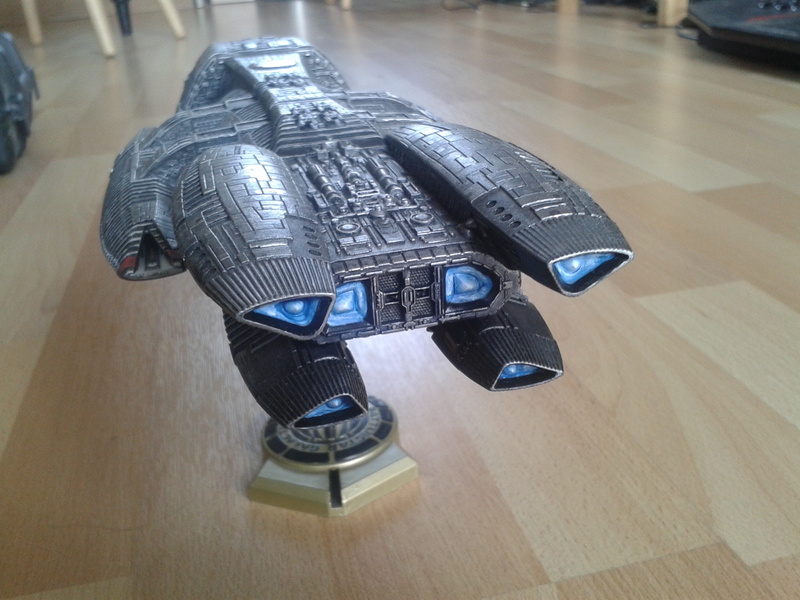 Following on from the post a made a while back showing my Viper Mk. 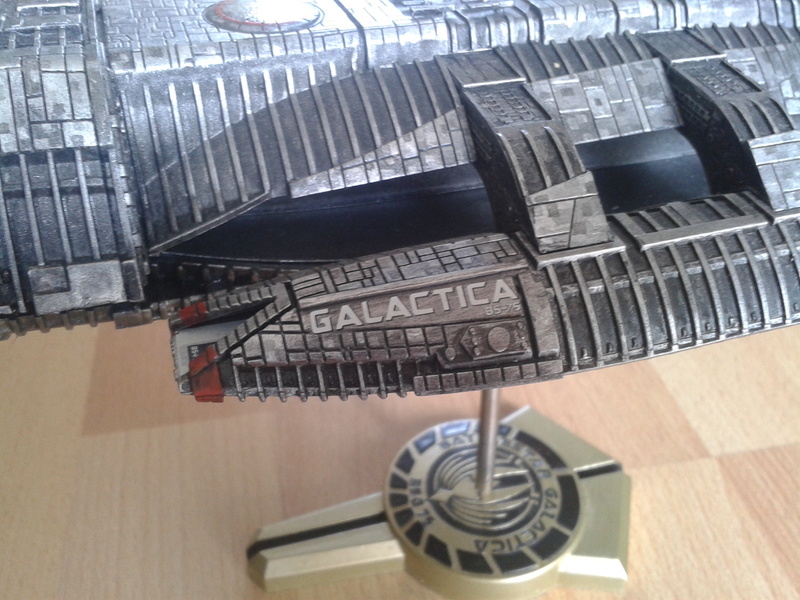 II, here’s some pics of The Bucket herself, the Battlestar Galactica. 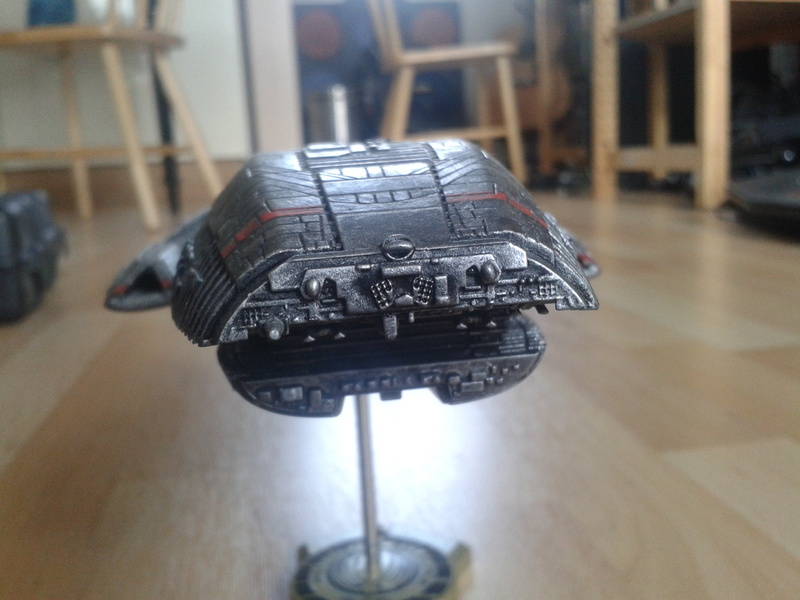 Galactica is on of my favourite space ships of all time, for a variety of reasons, so I really wanted to do her justice. 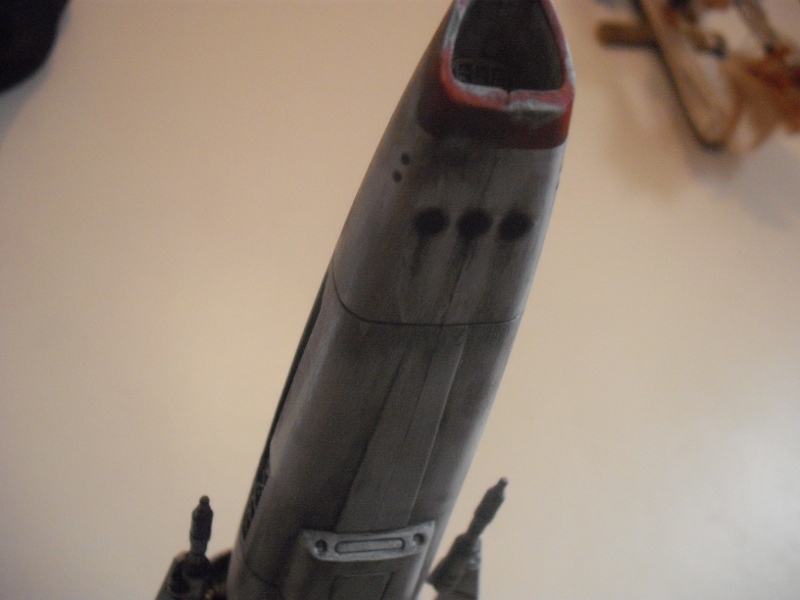 I did toy with the idea of giving her some battle damage so she would appear as she did after the battle of New Caprica, but I never got round to doing the weathering. 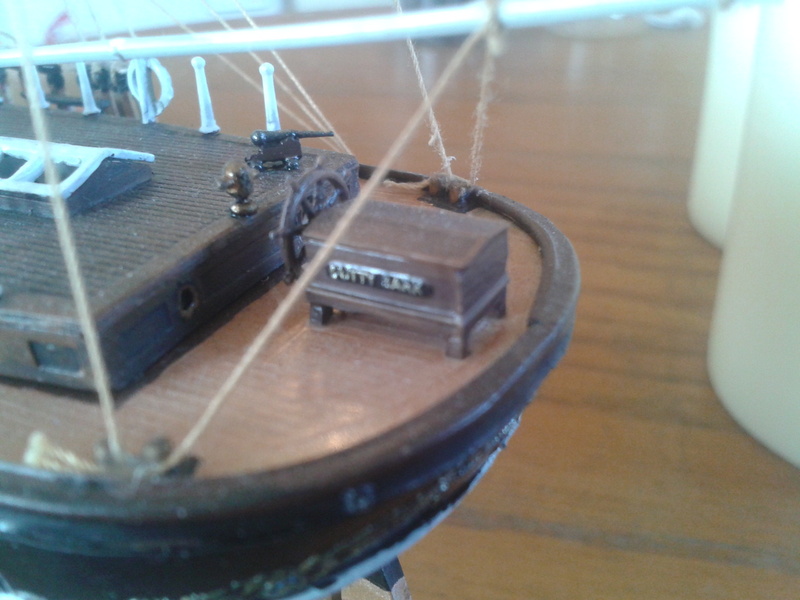 However, as she is an aging ship which was about to be decomissioned and turned into a museum ship, she’s got signs of age. Her armour panellings are mismatched and don’t fit together properly. 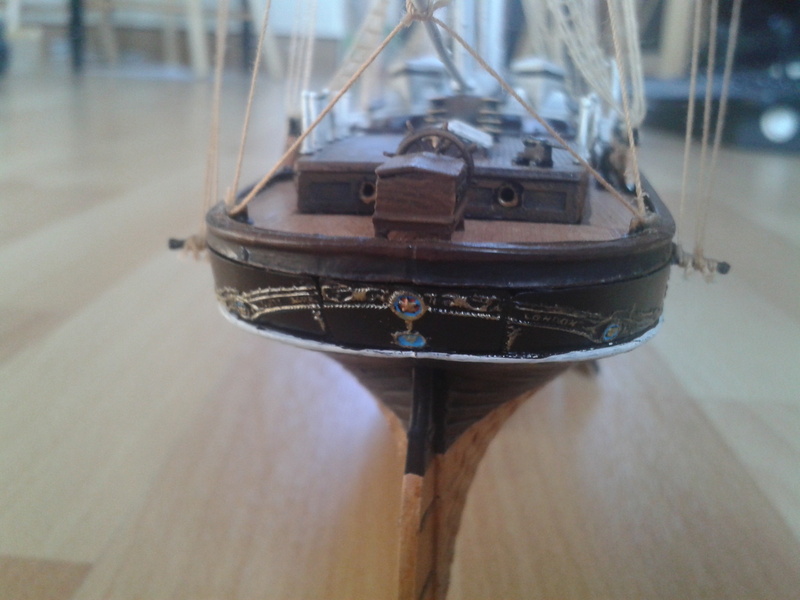 To get this effect, I painted squares of subtly different coloured metallic paint over the entirety of the ship’s panelling. 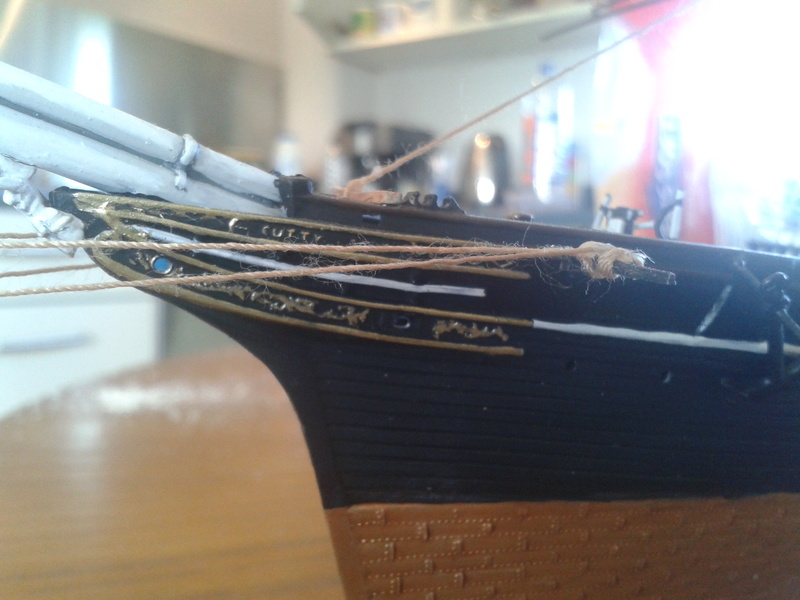 The recesses in the ribbing were washed with a mix of black ink and gunmetal grey, applied in multiple coats to add depth (which unfortunately the photographs do not show up). 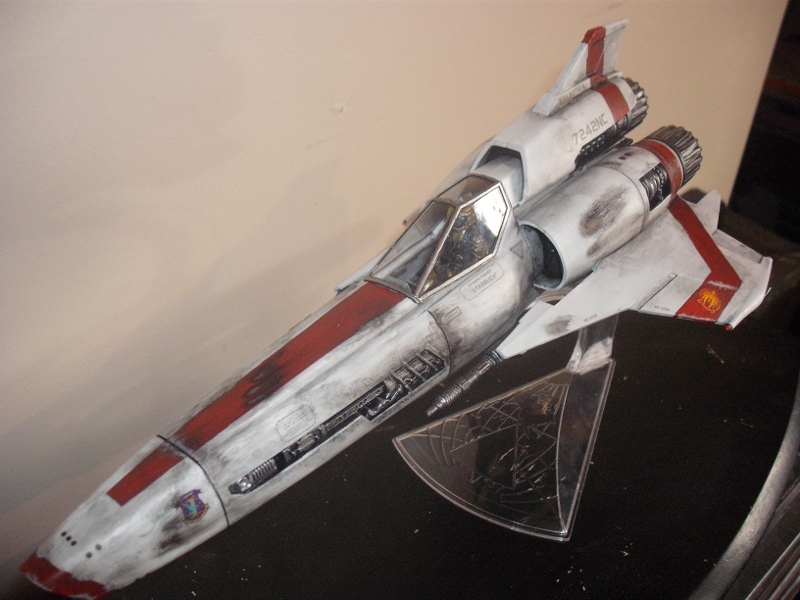 Having recently found out that Moebius Models have released a Battlestar Pegasus kit on the same scale as Galactica, I am eager to get my hands on this kit. I think The Beast would look pretty awesome on the shelf next to The Bucket (even though she’s not as good looking). Here’s a project I’ve been working on reasonably solidly for the past week, in order to get it finished for a friend’s birthday. He’d received the gift now, so I can put it up online. It’s a project I’ve been meaning to do for a very long time, and never really got round to doing. Now, my friend and I both play Warhammer 40,000. We don’t play the recent version on account of it being an unrelenting suckfest, though. We play the 2nd edition rules, from 1994. There are many reasons for this, which I won’t go into now. Suffice it to say that if you’re playing any version of the rules after 2nd ed, you’re wasting your time. But I digress. So we play 40K 2nd Ed. We have a whole number of armies between us, but his largest force by far is his Eldar. For those of you who don’t play the game or know what the hell I’m talking about, Eldar are like “space elves”. I like to call them space elves, because not only does it make them sound pathetic and twee, it also reminds me that I’m a grown man playing a game I bought when I was 15. 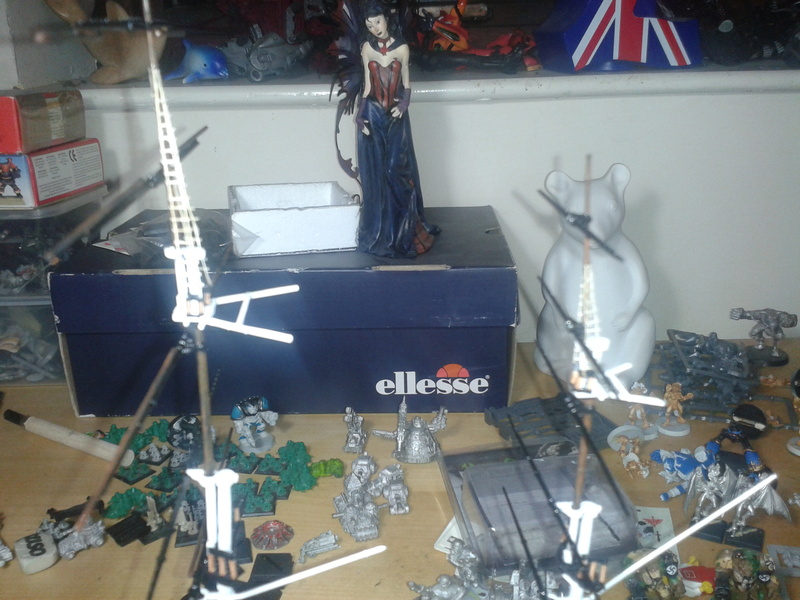 Now, my friend has a large eldar army. He’s got pretty much everything there is to get (or WAS to get, as most of this stuff is out of production now). So what do you get the guy who has everything? Well, simple. You don’t “get” him anything. You MAKE him something. 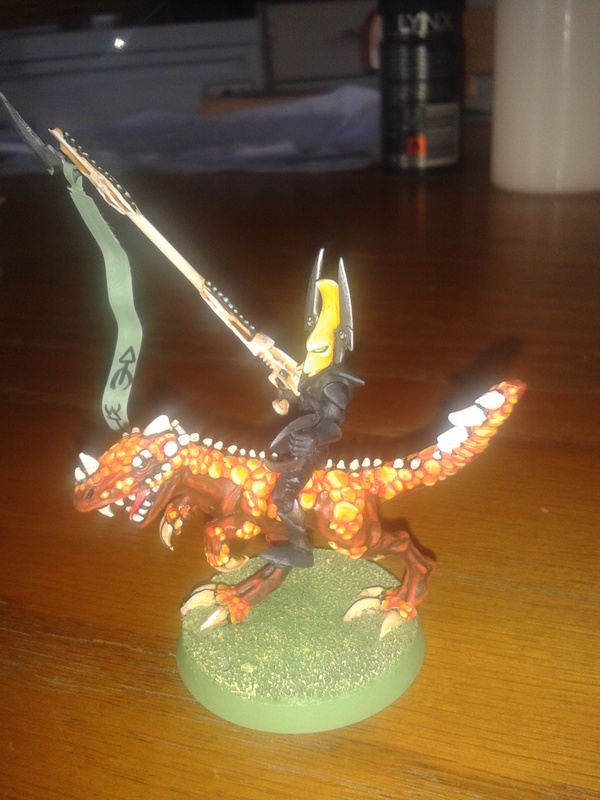 GAmes Workshop wrote rules for Eldar troops called “Exodite Dragon Riders”, but never actually produced any models for them (this was a habit of GW back in the 90s, and probably still is today, but I stopped following their products back in the 90s so I can’t be sure). 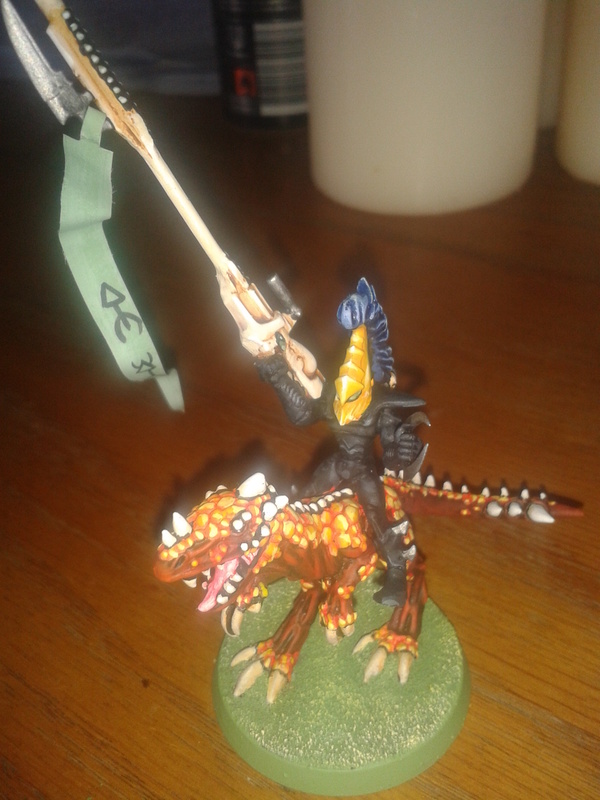 The Exodites rode into battle on huge, fearsome lizards which they called “dragons”. They weren’t REAL dragons, of course. THAT would be ridiculous. 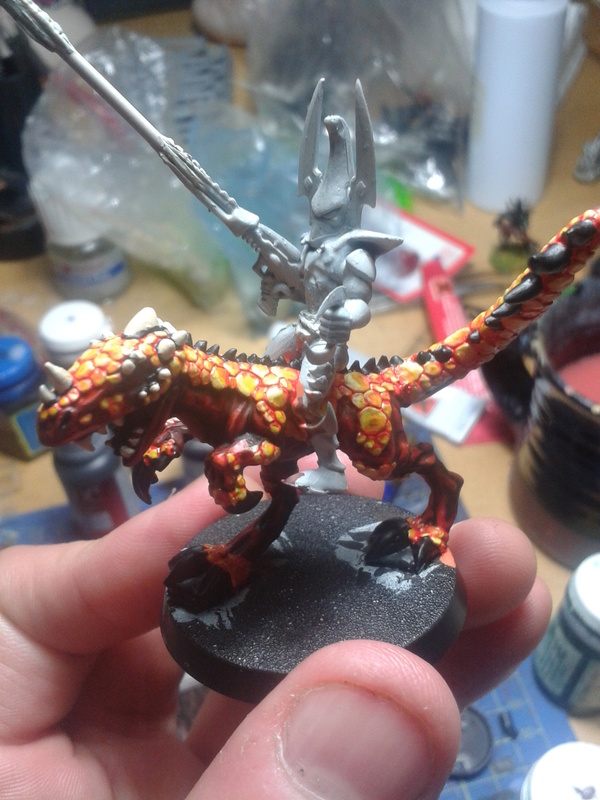 So I needed to find a way of making a reasonably convincing unit of Exodites by converting some existing models. I decided to use some old metal cold-ones from the “Warhammer Regiments of renown” series. 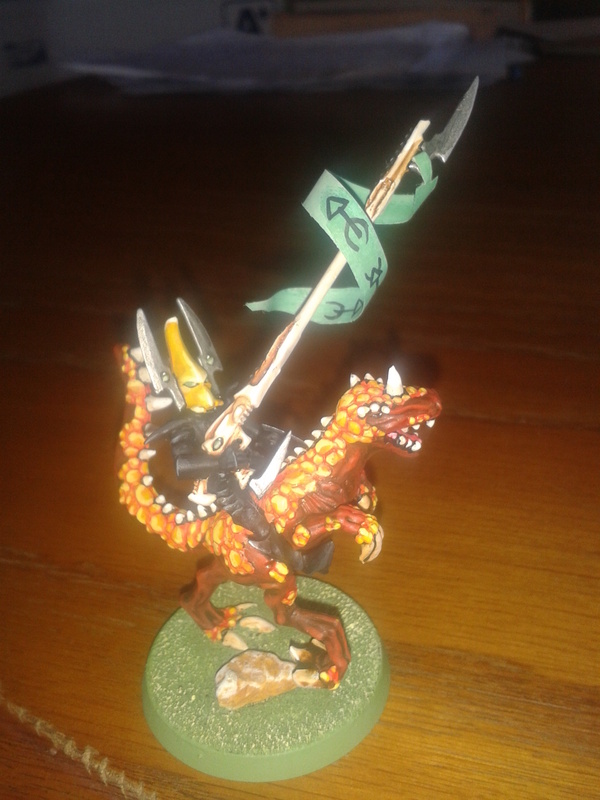 I can’t remember the name of the set, but there was a regiment in the Fantasy Lizardman army which consisted of skinks (little lizardman things) riding cold-ones (big dinosaur-like lizards). 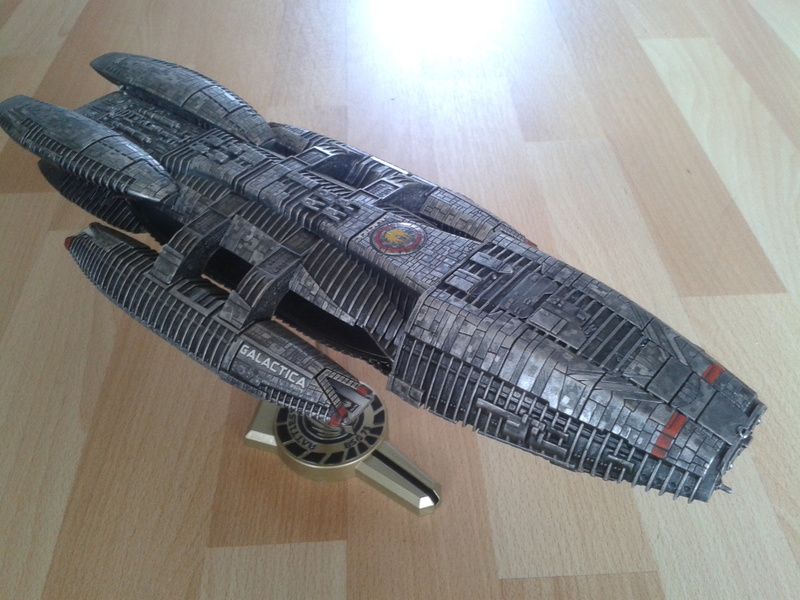 The regiment was a fairly limited release, but I managed to find it on ebay for a rather princely sum. OK so that sorted the mounts. What about the riders? Well I could use Eldar jetbike riders. 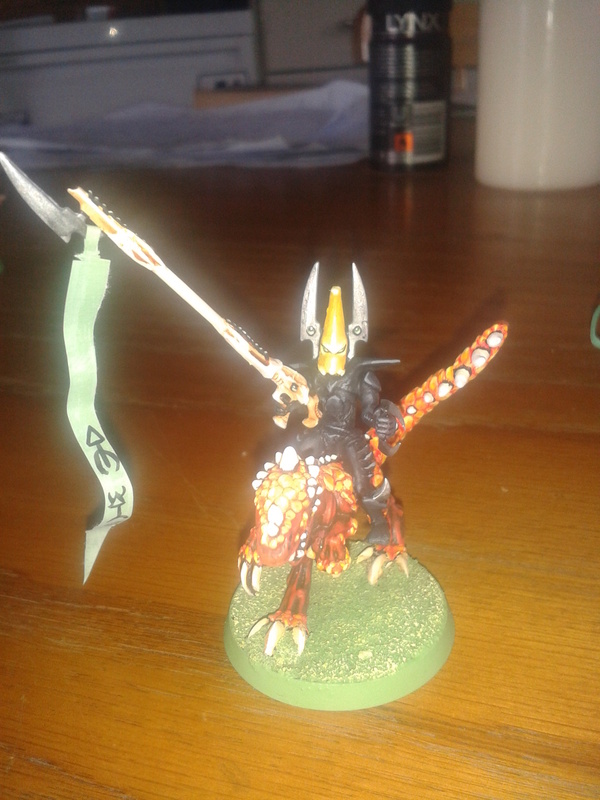 But then I remembered that the rules described the Exodites as a more feral branch of eldar society. 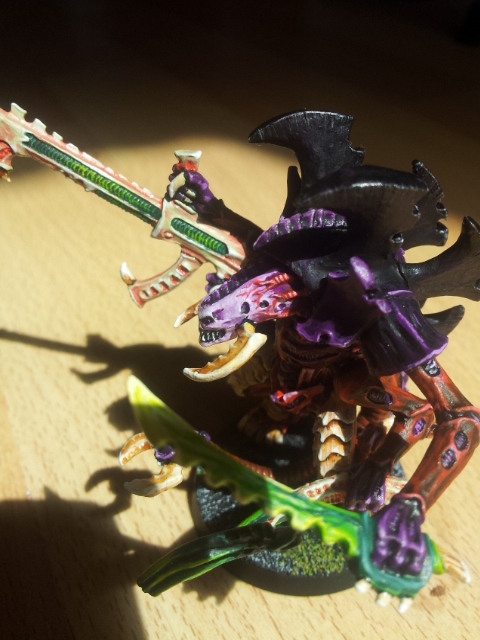 Now, in the early 2000s, GW released a line of miniatures for the 3rd edition of 40K called “dark eldar”. It was a great example of designers completely missing the point about their own game, but I won’t go into it now. 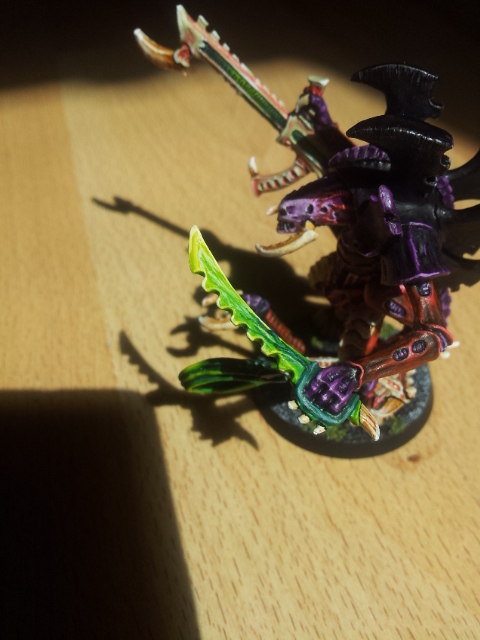 Suffice it to say that the whole concept of Dark Eldar is daft. 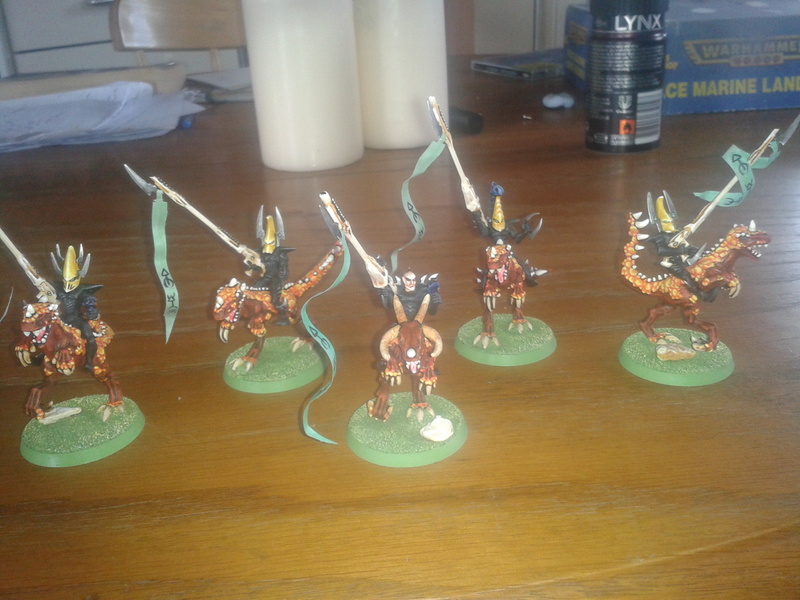 BUT the standard Dark Eldar foot troops had a look which I thought could work for Exodites. 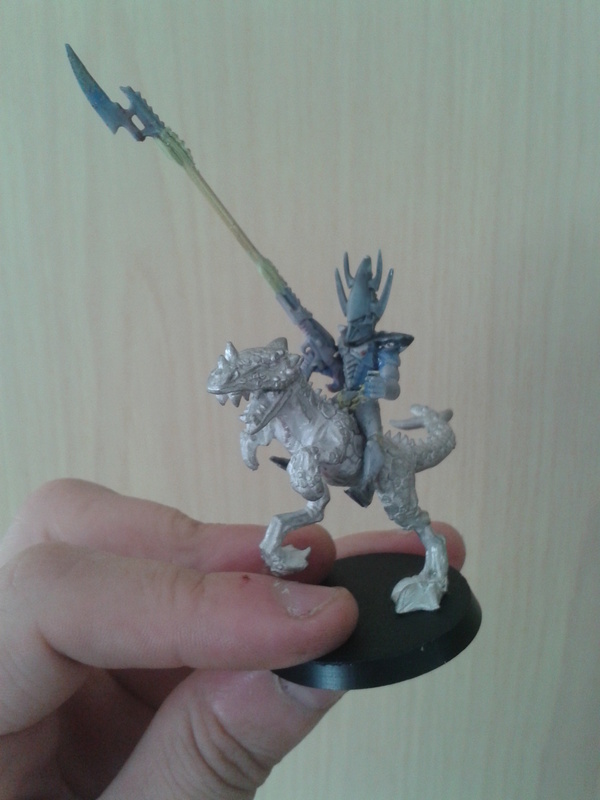 Funds were running low, so I bought a bunch of plastic dark eldar off ebay for a couple of quid. 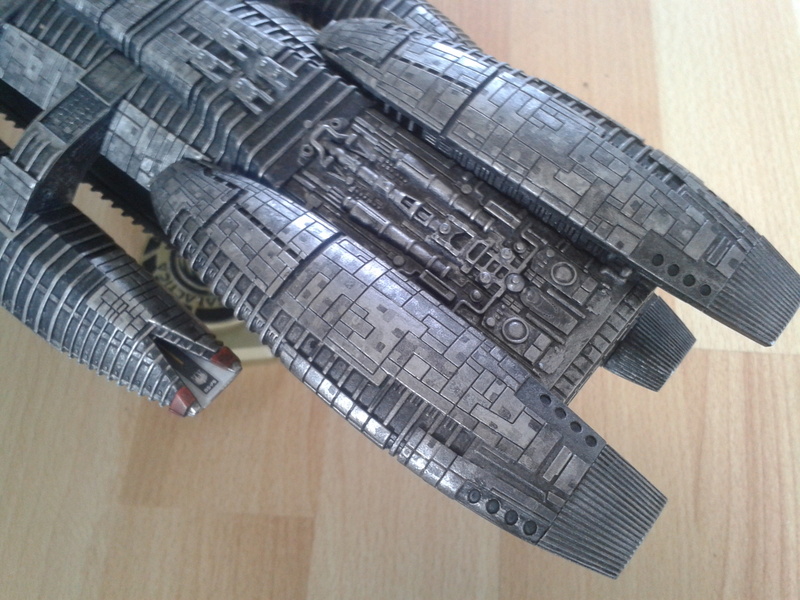 They arrived completely caked in the shonkiest paint jobs ever. Not to worry, I just soaked them in dettol and scrubbed off the paint once the pine disinfectant had reduced it to slimy gloop. It’s not the most fun activity, but it was necessary. 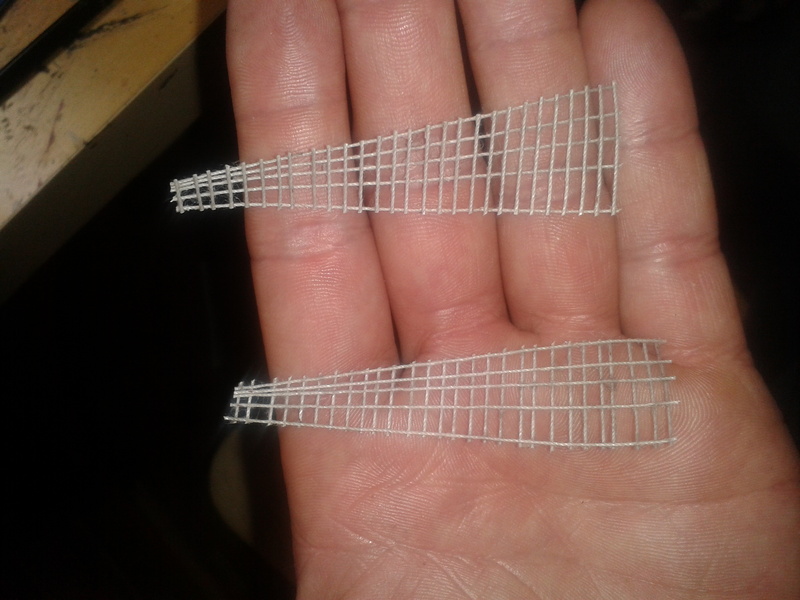 So I had all the bits, I was ready to start building this stuff. I like to spend my time in a number of ways. One of which is modelling. And by that I don’t mean posing for glossy magazines, as nobody needs to see that. I mean building and painting models. 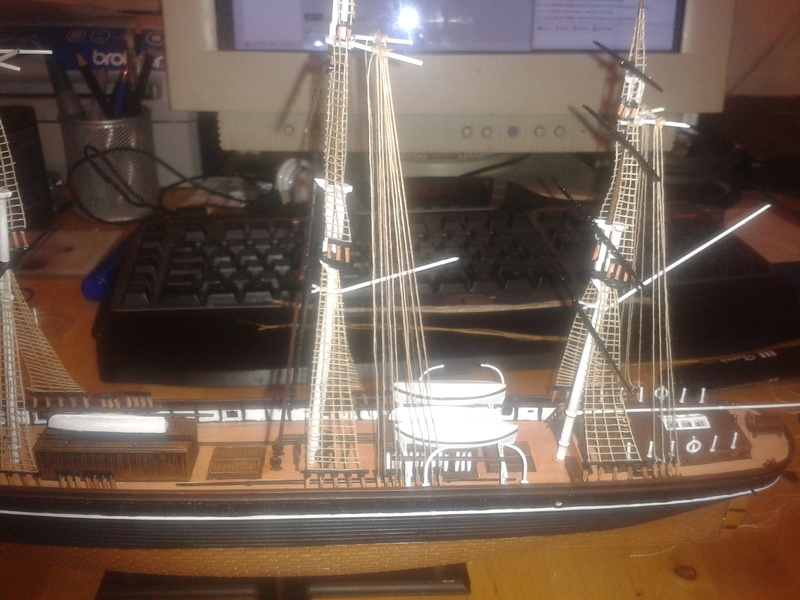 Sometimes they’re models of actual things which exist (such as, for instance, the Cutty Sark), sometimes they are miniature soldiers (either historical, fantasy or sci-fi), and sometimes they are space ships. 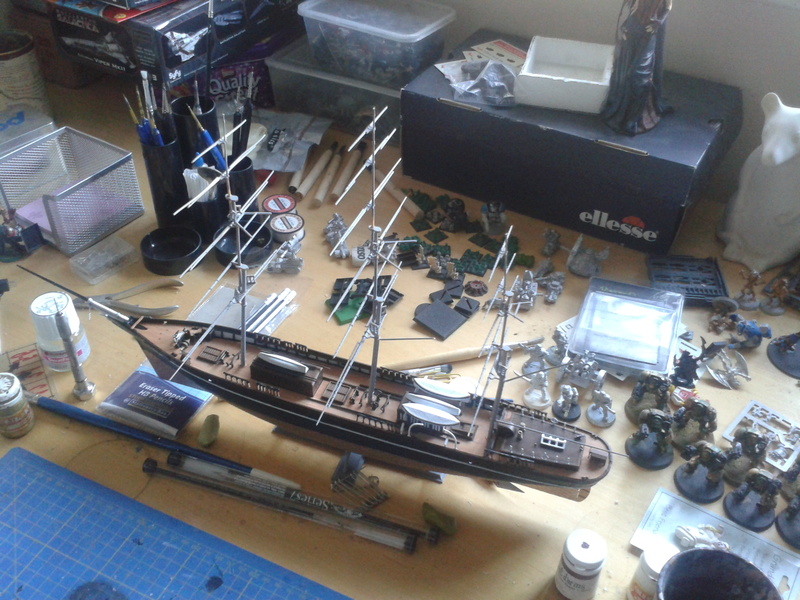 Here is one such ship which I built and painted a couple of years back. It’s a Viper Mk. II from the re-imagined Battlestar Galactica series (which is one of if not the greatest sci fi TV show ever). 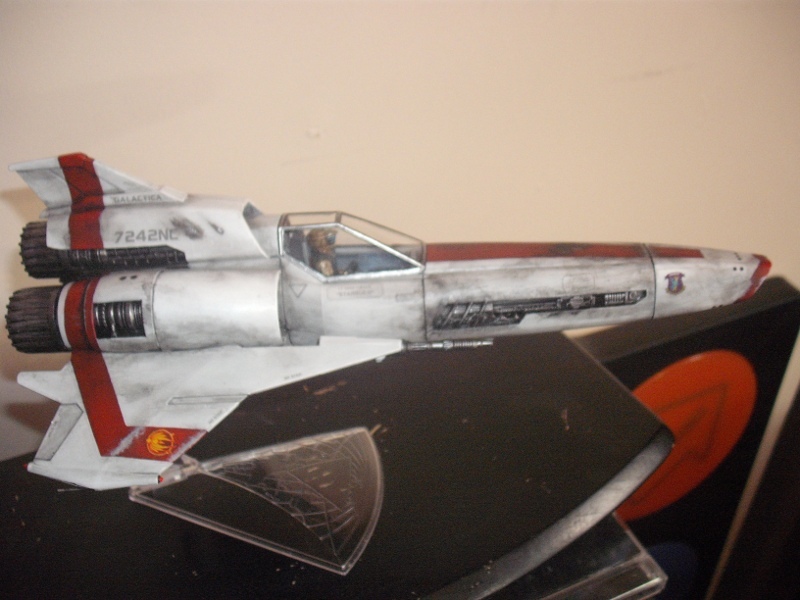 Specifically it’s Kara “Starbuck” Thrace’s Viper. 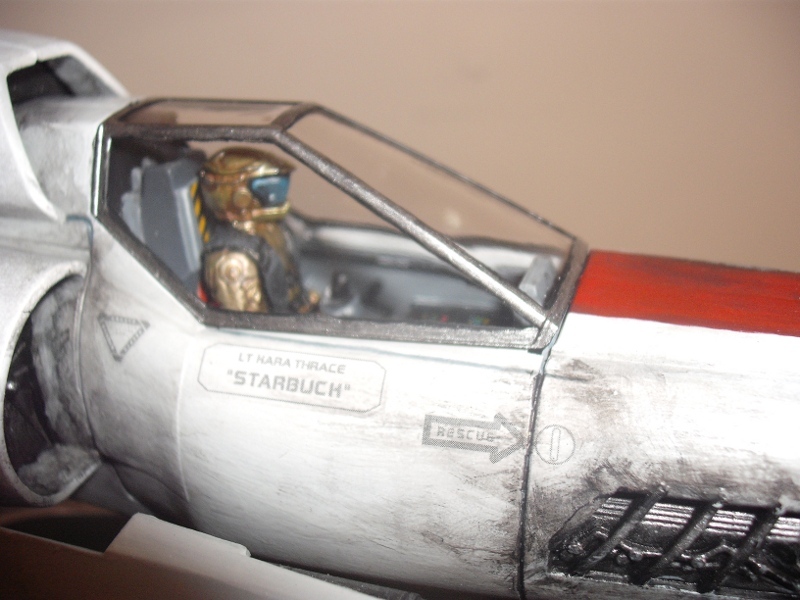 For those of you who have never seen the show, Starbuck is an ace fighter pilot. She’s foul mouthed, smokes stoagies and can hold her own in a fight… and she has a penchant for bending the rules to effect a better outcome. She’s a superb character. 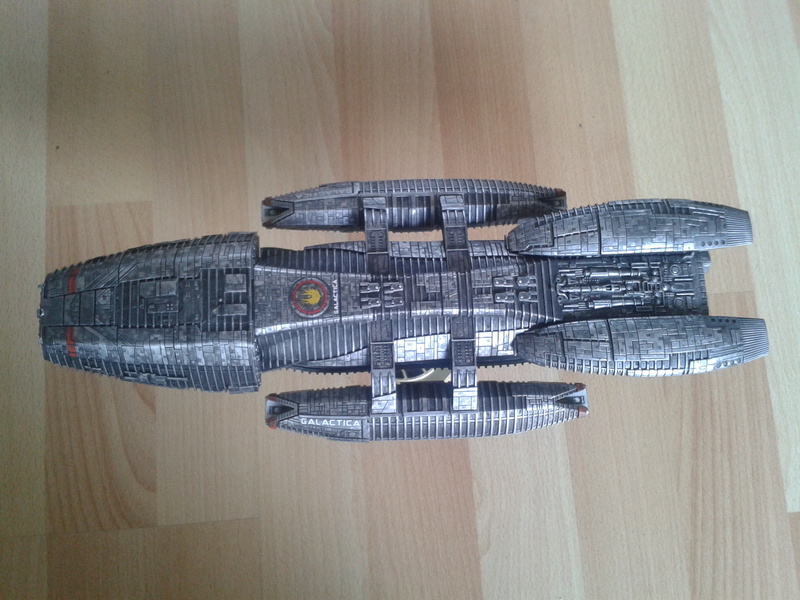 As you can imagine, Kara’s ship gets into a number of close shaves, and I have attempted to show this in the weathered paint work, showing areas where the ship has been hit with glancing shots from Cylon Raiders. Also, in the show, the Mk. 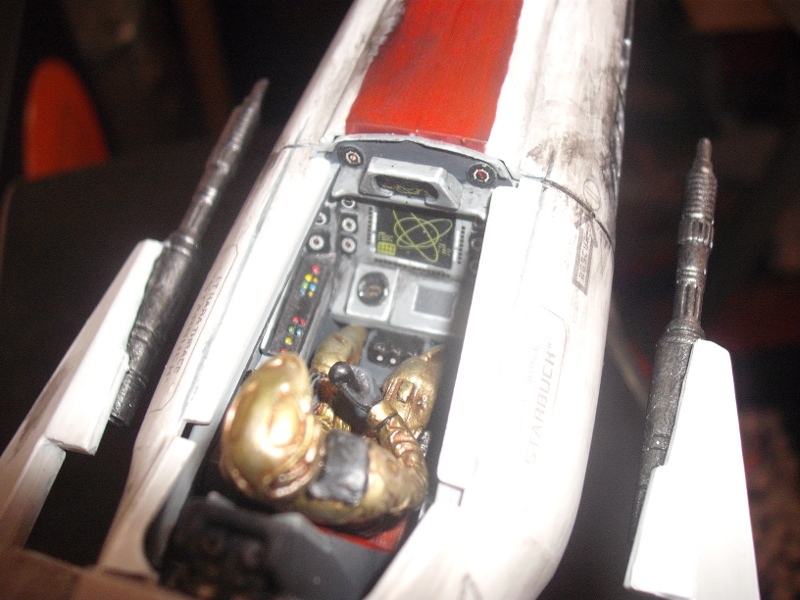 II Vipers are relics from a war which happened forty or so years ago, and so I have given the paintwork a dull sheen, with peeling around the engine intake and on the wings. 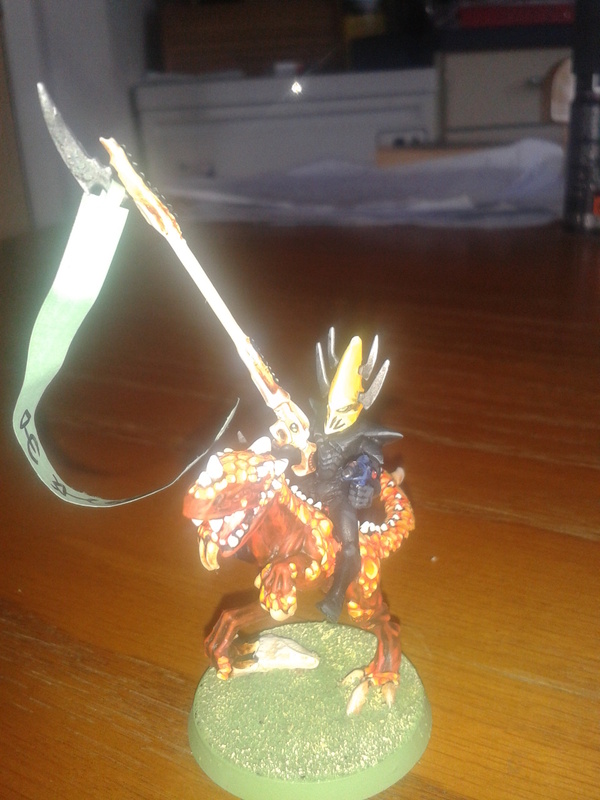 This is all hand painted, I can’t afford an airbrush. For the weathering I used a flat brush and ink, gradually building up and drawing out the streaks from the gaps in the panelling (individually in some cases). Took me a long time to get the weathering to the point where I was happy with it.